Don Bastian is an accomplished book editor, a serious Christian believer, a Free Methodist lay leader and son of a bishop of the same denomination. He also has been, and remains, a fine advisor to many Christian authors. On September 11, 2001, an opinion piece co-authored by Bastian appeared in the National Post, providing some astute insights into the interfacing between faith and politics. This writer was reading the Post a few minutes before 9 a.m on that day. The strength of Bastian’s writing and its relevance to the politics of the day was so striking that I picked up the phone and left a voice mail for Bastian, registering my appreciation. As I left the message, the radio in my office near Parliament Hill broke the news that an aircraft had just plunged into one of the towers at the World Trade Center in New York City. As a journalist writing mainly for people interested, at one level or another, in the Christian faith, I experienced some interesting insights brought on by both the Bastian piece and the obviously-unrelated 9/11 attacks. Those insights were triggered, in part, by “code language” That codification was brought on by the care that national leaders took, in the days following the attack, to dampen down religiously-connected divisive impulses. A few days after the attack, 100,000 people gathered on Parliament Hill. They were participating in a memorial event during which the point was clearly made that religious references were to be muted rather than obvious. 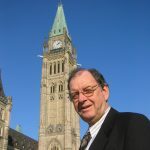 The prime minister of the day, Jean Chretien, managed, whether inadvertently or otherwise, to bring the faith to the fore, at least to those familiar with theological language. He suggested that the “saving grace” of the occasion was its humanity. Saving grace is, of course, within the Christian tradition, a reference to the outreaching of God the Son, expressed at Calvary, as the means to cause people to experience redemption and renewal. Christians watching and listening to Bush will have picked up on the “Jesus understood” implications of his biblical quote. In the days that followed, in various places in and around Parliament Hill, there were memorial services set up in various configurations. Some 300 attended an inter-faith service which saw readings from Muslim, Jewish, Christian, Sikh and First Nations spiritual leaders, among others. A few hours later, 30 or so gathered for a specifically Christian service. The inter-faith service was informative and helpful. It was an essential act that people of faith needed to understand each other a little better going forward into the post-9/11 world. The Christian service, by contrast, was a deeply emotional worship experience. Some of the people there had relatives or friends working and living in New York City. One had even been there, on September 11, to attend a United Nations prayer breakfast. That person was Jerry Sherman, who works with Christian Embassy in Ottawa. As Sherman and others shared their stories, there were few dry eyes. 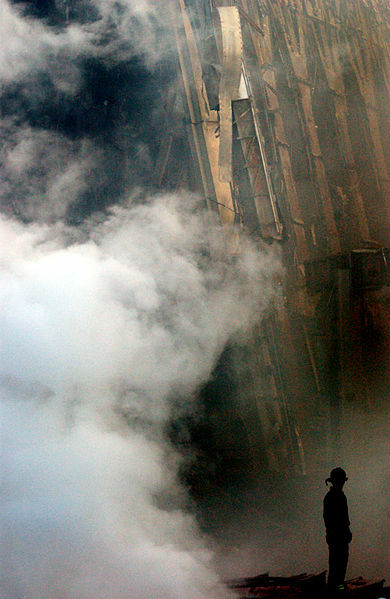 And, today, on the 10th anniversary of the attacks, as I write this – while watching the television coverage – memory and eyesight serve to bring about serious spiritual reflection. Right now, Rudy Giuliani, mayor of New York City at the time of the attacks, has just concluded reading the “For everything there is a time…” passage from Ecclesiastes 3. What remains, perhaps, is the wisdom to take that “saving grace” alluded to by Chretien, and apply it to the task of serving, with an “understanding of the times” (1 Chronicles 12:32).